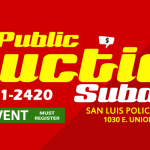 The San Luis Police Department (SLPD) Volunteer program is for men and women interested in learning about careers in the field of law enforcement. Volunteers also learn through first-hand “on-the-job” experiences, in the field, by riding along with Police Officers. The mission of the Volunteer program is to provide volunteer support staff to aid police personnel in the delivery of services to the citizens of San Luis. Volunteers build community relations by becoming involved in the day to day activities of their police department. If you are interested in applying to become a SLPD Volunteer, please stop by the police department and complete a Volunteer Application or contact Corporal Alan Guevara or Sergeant Marco Santana, our volunteer program coordinators at (928) 341-2420. All applicants for this program are interviewed and placed in positions that matches vacant Police Department volunteer positions. 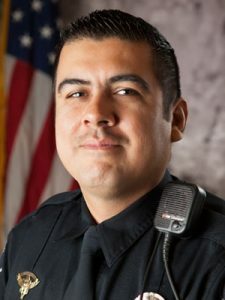 It is a normal part of the Police Department’s procedure to perform background checks (records and reference) on the suitability of new volunteers. The police volunteers perform a variety of tasks and become trained on the following: first aid, defensive tactics and traffic control procedures. To apply please visit the link below. If you would like to request volunteers/explorers for an event, please download this form and return to the San Luis Police Department.